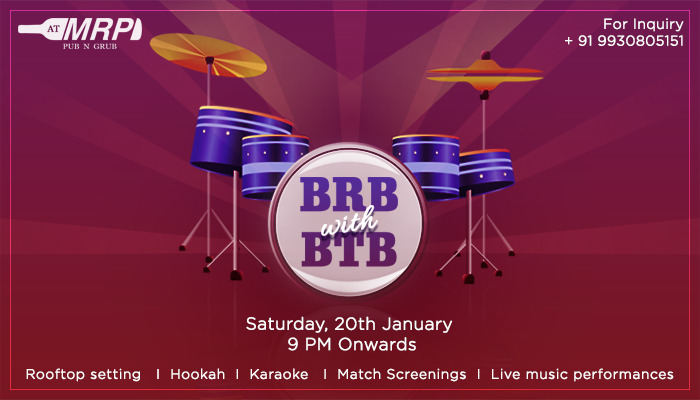 As Boond The Band hits the stage, stay geared for some fusion beats, enthralling hits, and unplugged versions. Chilled booze doesn’t only help you sway better to the music but also keeps you rocking through the evening! Tag your friends to book your party scene for the weekend at ATMRP.